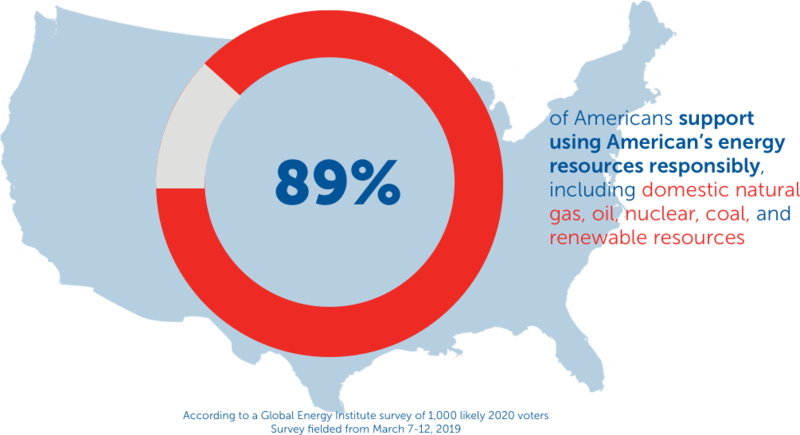 American Energy: Cleaner, Stronger promotes a national energy agenda that drives innovation, lowers emissions and fosters economic growth. As part of GEI’s new initiative, we will highlight the technologies, people and companies that make investments in our nation’s energy sector that spur continued economic growth and environmental progress. Through investments in technology and innovation, our environment has become cleaner while our nation has become stronger – all while our population has grown and economy prospered. This ‘cleaner, stronger’ agenda is helping America address climate change by increasing efficiency and reducing emissions without the requirements to eliminate greenhouse gas emissions in a timeframe that is not viewed as feasible by the electorate. In the midst of the national climate debate, GEI’s new initiative provides the framework for realistic climate solutions that are driven by innovation and private sector investment – and that doesn’t place the financial burden on everyday Americans. Our new, exclusive poll reveals that voters overwhelmingly support this approach, preferring an innovation-driven ‘cleaner, stronger’ agenda to policies derived through government regulation.